I love to notice how nature responds to our ponderings and lately, I’ve been pondering my death. Five days ago we found the remains of a deer killed by coyotes at the foot of the mountain behind our house. It was a fresh kill on top of fresh snow – guts spread out everywhere, the rib cage exposed and empty, almost all the muscle had been consumed and most all of its skin was torn off its one side. Seeing this natural wonder deeply affected me. It was the first I time have seen such ravage – just an hour or two after the coyotes had their feast. The hawks had already joined in as well. We thought the neighbor had removed the carcass and we wanted to avoid it on our hikes so our dogs would not pick at it too, but yesterday, we found the remains further up the mountain: a full skull connected to its spine all the way to one leg. There was only a bit of skin left around its hoof. Even though I’ve done hospice volunteering and been with many as they have died… and even though I lived in Alaska and I am now in the mountains of North Carolina and am at least a bit ‘wild’, this incident showed me something that I haven’t witnessed quite in this way ~ the natural process of the life force moving between us in a very immediate intimate way. It is such a stark contrast to our human experience these days ~ except, perhaps when a woman gives birth. We shield ourselves from blood and guts in our every day existence and yet we watch it again and again on the media, TV and movies so we are viewing and interacting with pseudo processes instead of with life itself. As strange as it seems, there was comfort in finding the carcass and a few days later only it’s straight skeletal remains. It touched something raw and real and it humbled me. I’ve been reading a lot of Stephen Jenkinson’s work and am deeply touched by his honesty and outspokenness on death. He gives me courage to express my concerns and deep grief. If you are interested, you may want to watch his film “Griefwalker” or read his newest book “Die Wise”. 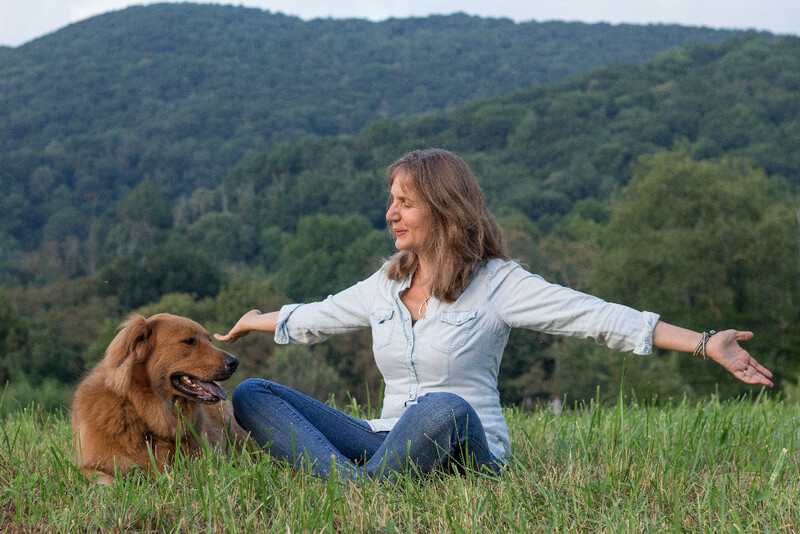 Spiritual mentor Deb Vail will often become ecstatic over her dog, a simple flower, violin music or a southern Appalachian handcraft. Communing with a subtly boisterous forest brings her joy difficult to contain. Deb, the founder of Sacred Living, has created a service for those with serious illness to find comfort, ease and bit of wonderment. When we enter the woods, we enter sacred territory. Nature is alive. Its’ presence is palpable and yet we only glimpse a small part of it’s mystery until we draw closer. 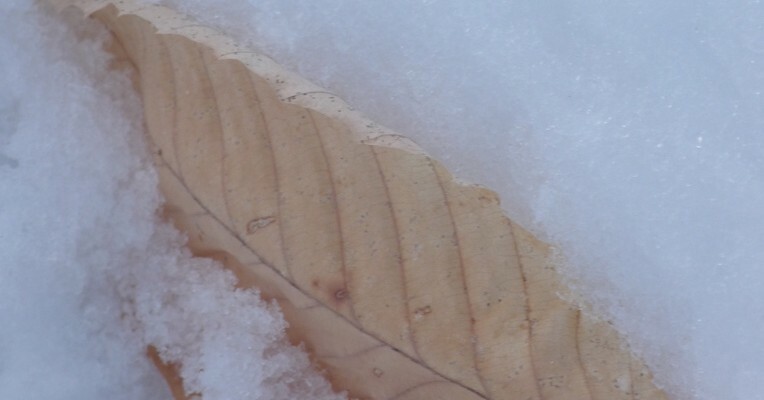 Here, we begin to find meaning and patterns in nature’s relationships and cycles. Here, we find infinite worlds inside the energy of creation. Here, we are struck by awe and reverence for life itself. Nature is a mirror for our own soul. It gives us messages of rightful living and relationship. It shows us qualities of generosity, equanimity, balance, harmony and peace. It shows us that even destruction bears gifts. If we dig deep and examine the intricacies of nature’s miracles we begin to realize that we are never alone – that we are constantly supported by billions of living particles of grace and love. Traveling this sacred path is a new paradigm in the western world and yet it is as old as time itself. The Sun has entered me. The Sun has entered me together with the cloud and the river. I myself have entered the Sun with the cloud and the river. There has not been a moment when we do not interpenetrate. also the cloud and the river. Before I entered the river, I was already in it. There has not been a moment when we have not inter-been. I continue to be in you. Harry and I walked our favorite circle – up the road, up the hill, across the empty pasture, through the woods and then dropping down to the backside of our property. I do this loop often because I have such a growing love for this place. We’ve walked this path so many times now that as we go by, I naturally look for and acknowledge familiar plants, trees, ponds, cattle and the tremendous view that takes my breath away. I’ve become so partial to it that I can’t imagine ever moving from this house. I’ve always walked the areas around my homes, but most of the time I have walked on paved surfaces and viewed yards and gardens instead of natural areas. When I lived in Alaska, we would walk to Memory Lake but I was more aware of weather and moose than the plants and trees. Being here in western NC with a diverse ecosystem has been much like unwrapping a gift every single moment. There are always surprises. And yet, now that I know one particular path and the beauties that await us, it’s more like a homecoming. As my affection toward it is growing, my heart opens more. As we enter a pasture at the beginning of our loop, we pass over a small rushing stream. Later in the year, a field of milkweed will greet us on the left. I happily anticipate the spring appearance of the three big circles of mayapples across the big rolling field. Then to one side of our path there is a row of apple trees (whose fruit our daughter will convert to exquisite pies in the fall) opposite a yarrow patch. Over the fence, up the well-worn cow path we stop at the nearly dead apple tree that still has one small branch alive and productive. The next part of the journey is almost like climbing a staircase and we look forward to the view from the top. Here we breathe in the expanse. Turning around we enter through another gate and pass a small pond that is fed by small waterfalls of streams tumbling through woods from higher on the ridge. Next we pass the tulip poplar that hosted the red-tailed hawk nest last year and begin the gentle decline into the next pasture where we often meet a cattle herd. From here, we pass the old collapsed homestead and we start heading for home through the forest. In this little patch of very wet woods, I know we are passing all kinds of native plants which will revive in spring – even native dwarf larkspur! We need to pass over the final barbed-wire fence, walk by sleeping lobelia and heal-all, past the willow and hawthorn and pick our way through the muddy swamp fed by the spring that provides our house to return to our yard. Knowing this place has opened my heart. Is there a place that you know well? Does it open your heart? I’ve come to a point in my life, perhaps because of my age or the fact that my children have grown up and left home, that I understand more fully the gifts of slowing down. And, it’s also a bit frightening to settle in. I am used to moving forward with speed and acuity to accomplish goals and projects ~ some that were as simple as arriving on time or as complex as starting a whole new journey in a business like when we started the farm. What I’ve found, as I look back, is that much of the hurry was self inflicted and driven. I missed so many opportunities to connect to my family and my surroundings because I was either racing around, distracted or totally exhausted. There are over 125 million sites on the web now that are about ‘Simple Living’. Intuitively, we know we are missing life. We want to slow down to really see what’s around us and interact with life more meaningfully. We know that we need it for our own health at the very least but we also know, on some level that it’s needed in the world. There are many ‘how-to’s of slowing down and living simply and they can become more ‘shoulds’ to do and can add to our fast pace or calendar of ‘to-do’ tomorrow. My intention is to connect to Spirit in ways that are integrated into my way of being in the world instead of being yet another ~ thing to do. While at the kitchen sink with dirty dishes stacked everywhere, food cooking on the stove, maybe even about to burn, I look up and see a cardinal in the snow-covered tree outside the window. Do I stop everything and take in the beauty while the food burns? Do I keep going and miss the moment and feel sadness and grief? If so, can I be present with the grief itself? Or, can I take a breath, send a prayer of connection and thanksgiving to the bird as I continue what I do and offer yet another prayer of gratitude for the food cooking on the stove, the running water that comes to my sink and yes, even for the dirty dishes that show that there’s been food in my kitchen? I explore these simple ways of being in the world: sending thankfulness in a prayer when anything at all arises and shows itself. And that means embracing every emotion as well – even the ones that I deem to be unwelcome because I have a belief that it is a negative emotion or because it just plain ol’ feels bad. What if everything that we feel, see, touch, hear and taste is a gift? The bitter and the sweet: all of it a gift. What would it be like to live in constant reception of ‘what is’? I’m not concerned with healing or converting myself to some new concept of right living. I’m only concerned with living moment to moment as receptive as possible. I know that then when I am open to the different parts of myself the tenderness that arises in me allows me to be more kind to those in my life. Everything gets a little softer, a little more sweet and those tiny differences help me to feel a bit more peaceful. Yes, your life is a living prayer. We often think of prayer as a very specific way of addressing the Divine. We bow in gratitude or lift ourselves in supplication. There may be a specific ritual that we follow or phrase that we repeat. And yet, is not the very act of living the ultimate form of prayer? When we remember that everyone and everything is sacred then every interaction is a prayer. How do we speak to others? Do we remember to look into their eyes? Are we aware of the wood planks that were made from the trees that are beneath our feet? When we wash the dishes do we remember that the glass came from grains of sand? As we eat, do we see, taste and smell the leaves of the greens and the fruit from the tree and remember our dependence on them? In every minute we are giving back something to the world. Our service is much larger than our volunteer efforts or our place of work. It’s in every look, every word and every breath we take. Could Love be that big and all encompassing? The choice is ours in every moment ~ do we acknowledge the inherent prayerfulness of our very life and in all life forms or do we turn our eyes aside and pretend that our very lives are sacrilegious? What prayer will you say today by your living? Even as I start to write about flower essences, I feel my body lighten, my heart open while an inner smile emerges. Plants sustain me and give me light. They are some of my dearest friends. I have often felt that there are enough miracles in a field of flowers to bring a lifetime of happiness and joy. When we are able to walk in the fields and in the woods, we get large doses of medicine. For instance, the living earth transmits energy to our body and the sky gives spiritual inspiration to our heart. The plants reflect their goodness and love and offer themselves to us. And yet, there are times when we don’t have access to the woods or the fields for native treasures in the wild. During those times, we have an amazing resource to draw on: flower essences. By putting the tops of flowers in water which is then placed in sunlight, the essence of the medicine and gift that each flower bears is transmitted to the water and can be preserved and then used as an attunement. For instance, yarrow can protect us, white chestnut can slow our thinking, agrimony gives us courage to be truthful about our true feelings, roses offer hope. The possibilities are endless. We are living in paradise and have every resource available to us for the unfolding of our soul. My husband and I make our own flower essences ~ Sacred Forest Flower Essences ~ from the native plants of the Appalachia Mountains that surround us. The gifts that they offer are too precious to ignore. Receive their gifts and remember that you are forever sustained, protected and supported by our divine friends. For more information about my services, click here. As the clock strikes twelve and the New Year arrives, I am aware of what I am thinking and doing because I was told long ago that those thoughts would be what my year would bring. What a perfect beginning for my year – sweet surrender. I’ve always been especially challenged because I can feel overly responsible. And that doesn’t mean that I do too much, it just means that I’m constantly thinking of what I can do, how I can contribute and how I can be a better person. And that can be a huge burden when I’m ill and not feeling well. Layer and layer of guilt and shame can accumulate and make me feel even worse. Can I find enough trust and faith to rest, truly rest and be at peace? May I breathe in sweet surrender this upcoming year! May I rest in “THE LOVE” that takes my house through the night. May we all rest in peace!